With Joker set to join the ranks of Super Smash Bros. Ultimate, all eyes are on what the next DLC might be. Expectations are certainly high with the first megaton announcement of Joker, and there are plenty of gaming icons that’d be a great fit. However, there’s one Defense Attorney that’s practically become a Nintendo icon, who’s more than earned his place on the Super Smash Bros Ultimate roster. In case you were trying to think of a different attorney, yeah, we’re talking about Phoenix Wright, otherwise known as Porcupine-head. In a game filled with characters like the Wii Fit Trainer, Duck Hunt Dog, and Mr. Game & Watch, a playable defense attorney wouldn’t be too much of a stretch. That’s not even to mention the fact that Phoenix Wright has easily established himself as a Nintendo icon, and a gaming icon in general. 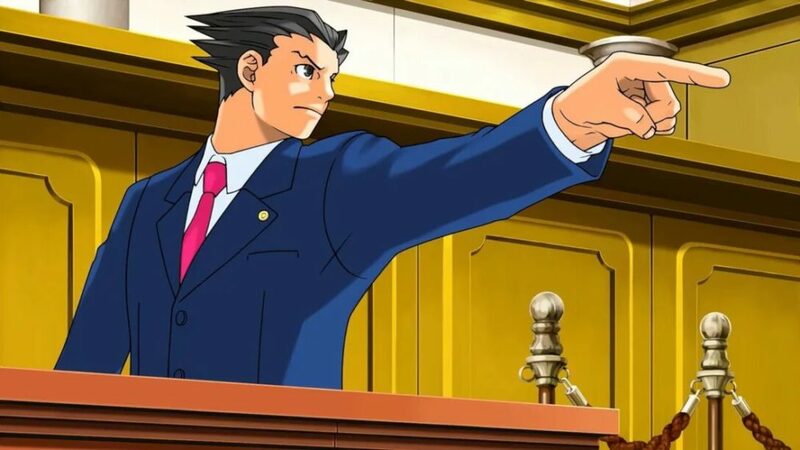 With the release of the Phoenix Wright: Ace Attorney Trilogy, the series finally arrives on PS4, Xbox One, and PC, but up until now the entirety of it has remained mostly exclusive to Nintendo platforms. The Nintendo DS was the home of Ace Attorney for a long time, with the main trilogy, Apollo Justice, and then Ace Attorney Investigations: Miles Edgeworth. The franchise then carried over onto 3DS with Dual Destinies, Spirit of Justice, and the crossover title Professor Layton vs. Phoenix Wright. This isn’t even to mention the three games that have never made their way outside of Japan. 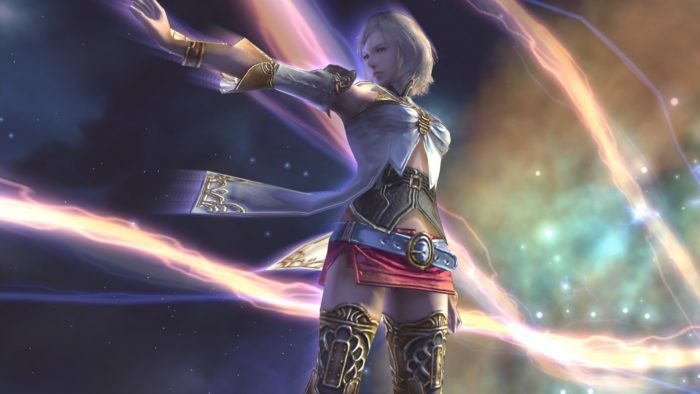 That’s a lot of games on Nintendo platforms, and the series has sold nearly 7 million copies altogether. Phoenix Wright has appeared in more games on a Nintendo platform than practically any third-party character, outside of Professor Layton, and although you can play Ace Attorney games on other platforms now, the series feels synonymous with Nintendo. Of course, the appeal ranges wider than just Nintendo fans due to things like the anime and manga adaptions, and the entire “meme-worthy” status of things like Objection. With the arrival of the Ace Attorney Trilogy, now is a better time than ever to announce Phoenix Wright as the next Smash character, and it’d be best to do this right after the release of Joker. Outside of the character’s status as an icon, just imagine how much fun Phoenix Wright would be to play. 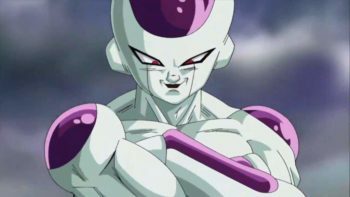 Now that’s not to say Smash would just need to copy his MvC moveset, as it’d be something uniquely Smash, but we at least know how it could work. Seeing Phoenix Wright put the beatdown on Mario or Pikachu would be ridiculous, but then, what isn’t ridiculous about Smash? Imagine him using documents or a gavel to fight other characters, and his Final Smash would, of course, be him blasting enemies with a massive Objection. 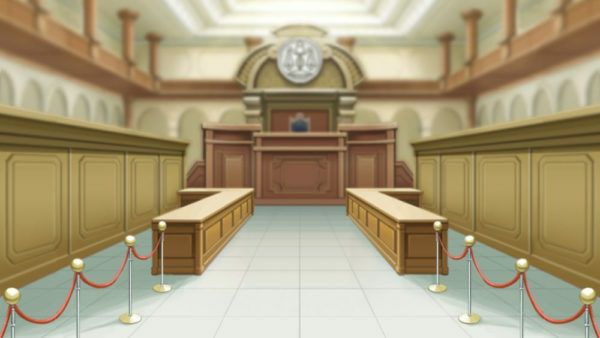 Even outside of just the character, however, a Phoenix Wright stage would be phenomenal. You could battle in the courtroom where the judge and witnesses pop in and out, applying crazy effects and animations. It could function similarly to the Castlevania stage, which has monsters popping up to cause effect or launch attack, but instead, it’d be characters like Wendy Oldbag who blasts you with her laser gun, or maybe Winston Payne loses his toupee and it becomes a trippable/throwable object on the field. There are so many hilarious characters that could make a courtroom stage crazy, and then, of course, there’s all the fantastic Phoenix Wright music we could have added to the game. Phoenix Wright just makes sense in Smash Bros, and he honestly feels like a character that should already be there after all these years. The 18-year-old series has been hugely influential for the visual novel genre, and it’s even inspired a handful of other games that try the same formula, like Aviary Attorney. If Joker is any indication, Nintendo is looking to add modern gaming icons to Smash’s roster with the DLC. In which case, Phoenix Wright absolutely needs to be one of the next four.